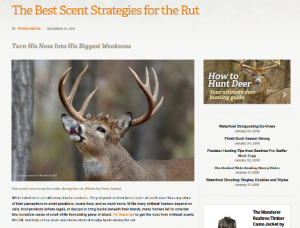 There is certainly no shortage of deer scents on the market, but how do you use them most effectively in the woods? A recent blog post on the Realtree.com website offers some good ideas for hunters looking to bag a buck in the winter, with the top tips tied to taking advantage of scrapes that both bucks and does use as a way to communicate. For example, using a scent-dripper system in an area of community scrapes will help attract bucks to an area during the day when otherwise it would be tough to spot them at that time. A key to success is finding major scrapes, which tend to grow as fall turns into winter. Of course, a community scrape may not be in an optimal spot for you to get a good shot, so another popular approach is to create a mock scrape, more of a hit-or-miss proposition, but one that can also be effective. And to bring a buck away from the most-traveled areas, it can be effective to create a drag line with doe scent, or to place a scent wick in spots where you have good shot lanes, hoping to create a situation where a buck stops for a moment. As you devise your strategies, be sure to use scents that are approved for use in your state. Some states have banned the use of real deer urine, though synthetic and non-cervid scents (meaning they are not from the deer/elk family) are still allowed in those states. PotlatchDeltic is a firm believer in following ethical and legal hunting practices, and the real estate experts in the PotlatchDeltic Preferred Broker Network are the right people to talk to as you look for a recreational property to call your own in 2019. Call or contact one of our brokers to start the process, so you can have a home base for all your hunting adventures! 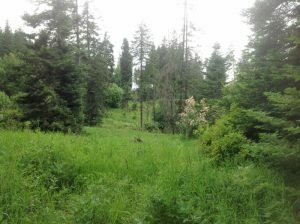 PotlatchDeltic will begin offering exclusive campsite leases in selected areas of North Idaho. The three areas selected for the initial rollout are Gold Center Creek, east of Clarkia, The Dredges on the Palouse River, and Scofield/Washington Creeks, east of Headquarters. You can guarantee your campsite NOW. No need to make plans only to find out your campsite site is already taken when you get there! Each campsite is exclusively leased to the leaseholder, so there will be no need to secure the site as soon as access allows each spring. Want to enjoy your campsite throughout the season and lock up your camping equipment on site? No problem! Bidding for Campsite Leases Starts on February 4, 2019 so visit with us online and see what’s available so you’ll be ready to submit your bid. CLICK BELOW FOR VIDEO OF ONE OF THE AVAILABLE EXCLUSIVE CAMPSITES!! RESERVE YOUR 2019 CAMPSITE NOW! 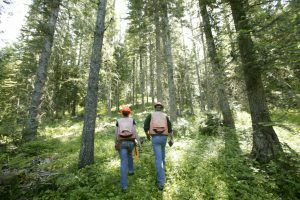 Every week, our PotlatchDeltic Preferred Brokers talk to people who want to buy a recreational property that will one day be passed down to their family. So where do you start? First, “begin with the end in mind,” as motivational guru Steven Covey says. Rod Osterloh of Close-Converse, a PotlatchDeltic Preferred Broker in Brainerd, Minnesota, has worked to sell legacy properties for decades. Some property owners want their property to stay in the family forever. 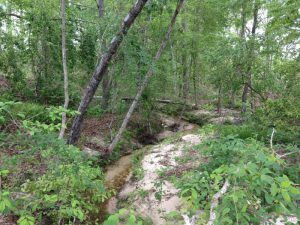 Others will want to eventually donate the property for conservation. And sometimes, an owner wants to do both – passing along one part of the property to family while donating the rest of it. As you think about your long-term goals, Rod says, build a team of advisors, with an experienced real estate professional working with such experts as a lawyer, tax expert and wealth manager, depending on the situation. Know how you’re going to use the property before you buy, because this will drive much of your decision-making. Are you planning to use the property for hunting? Will you be planting timber? Will it have a home or cabin? This information is important to tell your team of advisors, because it could impact everything from potential timber cash flows to how you’ll want the property to be managed. If you buy the property as a group, it’s important that everyone in the group share a similar vision for the property, reducing the possibility of disagreements in the future. If you plan to leave the property to your family, think about the type of ownership structure you want. Often, families form a trust or partnership, and there are pluses and minuses with this approach. With this approach, all members of the partnership get a voice in decisions, but there can be unintended consequences when family members develop different ideas about whether they want to keep the land long-term. As a hypothetical example, let’s say six siblings inherit a property. But after owning the property for several years, they are disagreeing about the future. Two want to keep the property long-term, two want to sell, and two aren’t sure what to do. What happens then? Hopefully, the siblings’ parents would have set up buy-sell agreements, giving the siblings the opportunity to buy out each other’s interests. With such agreements in place, the property could stay in the family without creating conflict. Your team of advisors should be able to think about potential downsides to any possible ownership structure, and can help you put structures in place to prevent issues in the future. If you decide you want to donate the property, do your homework. If your property is next to a wildlife management area, you may have the opportunity to donate the property someday. So how do you know if that’s possible? First, work with your real estate professional to talk to the proper government entity about the possibilities. As an example, in Minnesota you’d start with the Minnesota Department of Natural Resources. Then, as you work with your team, think about implications like how such a donation could impact your taxes. There also may be the possibility of making a donation while keeping a family retreat. 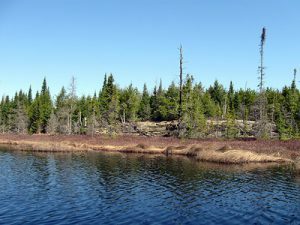 PotlatchDeltic recently did such a hybrid deal with a 988-acre property in the Brainerd Lakes area of Minnesota. 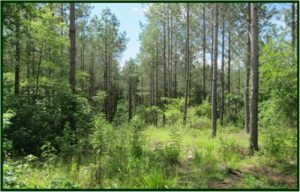 The company first placed a conservation easement on the property while retaining four building sites spread around the property. Then, another owner bought the property, subject to keeping the building sites with their own private easements. With this approach, the land can never be developed beyond the homesites. Hundreds of acres are preserved for wildlife production. And each building site owner will have the right to use the property and to build a cabin. No matter which approach you take in planning your legacy property, it’s critical to work with a recreational real estate professional that has experience in working with such properties. The pros in the PotlatchDeltic Preferred Broker network have this experience, having sold properties that have subsequently stayed in families for years. Call one of our Preferred Brokers today to start planning your own legacy! If you cannot reach us, it’s because we’re celebrating the holiday with family and friends. Please visit with us online or try us again on Wednesday, January 2nd. Thank you! Season’s Greetings from all of us at PotlatchDeltic! Cool properties to heat up your search for your dream property! Tis’ the season! A time to be with family and friends and enjoy the holidays. 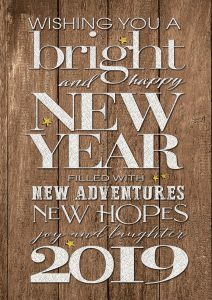 And the new year is the perfect time – whether you’ve been naughty or nice – to get that property you’ve been dreaming about! With hunting, recreational, timberland and rural land listings from 20 to over 200 acres and prices to fit any budget, your search starts here! To see full listing, click on image. So, whether you’re a first-time buyer just getting started or you’d like to expand your property holdings, we welcome you to PotlatchDeltic – the only name you need to know when it comes to buying recreational property. 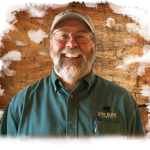 Meet our Minnesota Broker: Bear Island Land Co, Inc.
After years of working as a land surveyor for the U.S. Forest Service, Charlie Chernak knew what he wanted to do: start a real estate company. He already dabbled in real estate, so why not focus on selling property to other Minnesota folks who share his passion for hunting, fishing and the outdoors? Now, more than 20 years later, Chernak’s company, Bear Island Land Co., is a thriving real estate operation in Ely, Minnesota. Bear Island’s eight real estate professionals sell many types of property, with a special focus on meeting the needs of the recreational buyer. Bear Island’s recreational buyers tend to be Minnesotans who have a tie to the area. 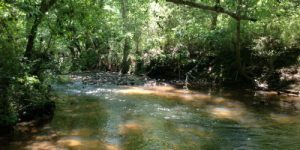 Many are folks who grew up locally and then left, but now want to reconnect by purchasing a recreational property for their families. And many area deer hunters want to own the property where they have their deer camp. Ely is a 4-1⁄2-hour drive from Minneapolis and a 2-hour drive from Duluth, making it convenient for outdoor enthusiasts who want to come up for a few days and enjoy their properties. 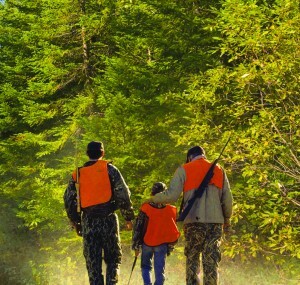 Deer hunting is a big draw, followed by grouse hunting, and the area also offers a variety of other recreational activities. Bear Island is the largest real estate company in the Ely area, with approximately 300 listings, and takes pride in how it combines a personal touch with skill in technology. In addition to running a top-notch website, the company connects with buyers through such social media channels as Facebook, Twitter and LinkedIn, and is now using a drone to get quality property photos from the air. Bear Island has enjoyed a longtime, successful relationship with PotlatchDeltic and is currently showing approximately 100 PotlatchDeltic listings. at Thanksgiving and throughout the coming year.